TON gahs~ at least that was how I thought it was pronounced, but since yesterday, I have seen multiple vernacular interpretations. That is the purpose. I am juggling between two dogs scratching at the door to go out in the rain, making a cup of coffee with one hand and mixing a bottle of formula with the other for the newly acquired 10 day old addition to our Trout Bum Clan, who is squawking and may need a new diaper at any moment and scribbling down thoughts about this Trout Unlimited Bloggers campaign for the Tongass Rainforest and the sensitive logging issues that surround yet another very hot topic in the conservation world in my mind. It is no secret I will enter nearly every little contest that dances across my Facebook feed, but rarely do I enter blogger essay contests. I don’t fancy myself a writer, especially amongst the ranks of many others who so eloquently string together words that fluidly express the same thoughts and emotions that would take me hours to formulate. I found inspiration in my fellow fishing/blogger buddies post, thank you FR. If it weren’t for you I wouldn’t be working so diligently to help spread the (excuse me while I take a bottle/burp/coffee refill break) word and efforts of a few who work to protect the last great wild places left on Earth. I recall in the early nineties the Clinton administration passed a bill to protect the Tongass Forrest which includes some 19 designated wilderness areas and one of the largest multi-specie bear population in the world, from building any roads to prevent logging in the roadless region. In recent years, consecutive administrations have not supported nor backed the roadless bill and consequently de-forestation of this lush and untouched region has become the hot topic. I have never been to Alaska, don’t worry, it is on the top five of my bucket list destinations along with Kamchatka and New Zealand. 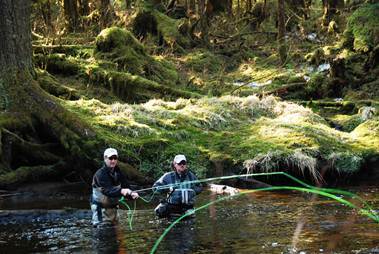 Why is it one of the most dreamed about fishing vacations for so many anglers? Just a theory from a Michigan resident who can only envision what a river would look like without human intervention and exploitation. 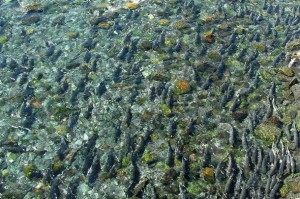 A river with naturally returning salmon who have been nourished with the protein rich inhabitants of the Pacific Ocean. 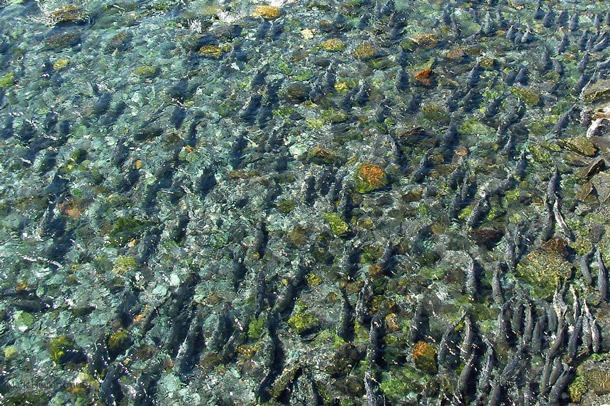 These salmon number in the millions, not thousands. They bring the much needed phosphates and nitrates to the trees via bear and eagle deposits and leftover scraps. An amazing link from sea level to upper elevations that would not exist if one of these animals or plants were removed. Living in Michigan, we can look back through our past, how we first exploited the majestic white pines, then the fragrant grayling, and finally a pigeon that was sold as squab to fine dining establishments in Chicago. We have watched the decline of fish populations in the Great Lakes due to the introduction of invasive species through the St. Lawrence seaway, only for the immediate value of shipping precious metals and ores in and out of the mid America. 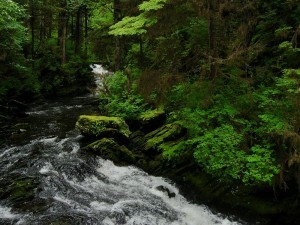 I can only imagine a river so rich and lush with vegetation, overloaded with fish you can nearly walk across the stream on their backs, and wildlife that abounds on every bend of the naturally flowing watershed. But why should I even care about a river system and forest that is thousands of miles away when we have so much at stake right in my own back yard? The point is well taken, and rightfully so. We have a legal battle over a ‘reflection pond’ at a yoga retreat that has successfully killed an entire river system three times in as many decades due to sediment release from an unregulated dam. We can’t even find common ground on gear restrictions and creel limits, what kind of impact can we have on a 17 million acre natural forest? It would begin with initiatives such as this one. WIthout it, you would still be more concerned with how many millions Iron Man III made this weekend, how Tiger Woods pulled out a close win with new girlfriend Linsey Vonn at his side or why Angelina Jolie decided to get a double mascectomy. We focus on overpaid celebrities and athletes rather than invaluable resources that cannot be replaced. This is the current sad state of our country, we have natural beauties in our land that were protected and designated during the Roosevelt administration, but we can’t wait to go in a clear cut them for the value of the lumber. Our insatiable greed for more/cheaper/faster as Americans has pushed other third world countries into collapse, where they pile communities of residents on top on another like legos, simply to wait for the next natural disaster, whether it be an earthquake, mudslide, or tsunami to offset the balance we as humans have taxed on this already overpopulated planet. Why should I go to the Tongass to smell its dank and emerald mossy trees, to drink in its fresh cold-water and smell the ripe and decaying flesh of several salmon species rotting along the rivers shoreline? I don’t think so. I think I already know the importance of this fragile resource. Someone else needs to be converted, and non believer that doesn’t feel as passionate about the natural resources as I do. Please consider this as my official entry for the TROUT UNLIMITED OUTDOOR BLOGGER NETWORK tour 2013. 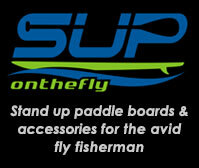 Thank you to TU and its affiliated sponsors: TENKARA USA, FISHPOND, and RIO PRODUCTS. Well done. I would say that one of the reasons to go (and one reason I want to), is not to be convinced of the fragility of nature, but to be reminded of its worth and reinvigorate my desire to protect it.